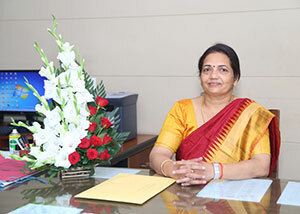 Welcome to Dayanand Girls' P.G. College, Kanpur. "Learning is a treasure that To provide opportunities to the students and teachers to promote intellectual climate conducive to the pursuit of knowledge, scholarship and excellence. To provide opportunities to the students and teachers to promote intellectual climate conducive to the pursuit of knowledge, scholarship and excellence. Students of our college enthusiastically participate in various sports and cultural events in collegiate, inter-collegiate and inter-university competitions and win several prizes and trophies every year. Moreover, they have also won accolades in various academic and literary events. These achievements have undoubtedly, made us extremely proud of our students. Our teaching staff has also brought laurels to the college. They have been conferred with several felicitations and awards, have organized various Departmentsal activities like guest lectures, competitions, presentations and demonstrations and are continuously engaged in attending and presenting their research papers in National and International seminars and conferences. Almost everyone of them are involved in publishing their research papers in journals of National and International repute. Several of them have authored books on different issues. Many of them have been invited as resource persons, keynote speakers or experts in seminars, conferences, guest-lectures and workshops. To sum up, I personally believe that hard work, dedication and perseverance are the most important traits of a person that lead to success. The future belongs to the students, their drives and motivations and their needs. I exhort them to prepare themselves for a pro-active participation in the world. This demands a sincere , well informed and motivated women, which Dayanand Girls' P.G. College aims to create. .